Download MMO Tool latest version free download for Windows. MMO Tool is a small application for Windows which will help you to fix some common issues in your android smartphones and tablets. 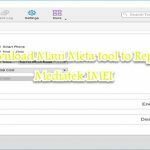 By using this tool you can Remover FRP Lock, Bypass Samsung Account, Remove Screen lock, and Enable mobile data. MMO Tool latest updated version v1.0.0 has been officially released and now in this post we have managed its direct download links to our users. Download link for MMO Tool latest version is given at the bottom of this page. 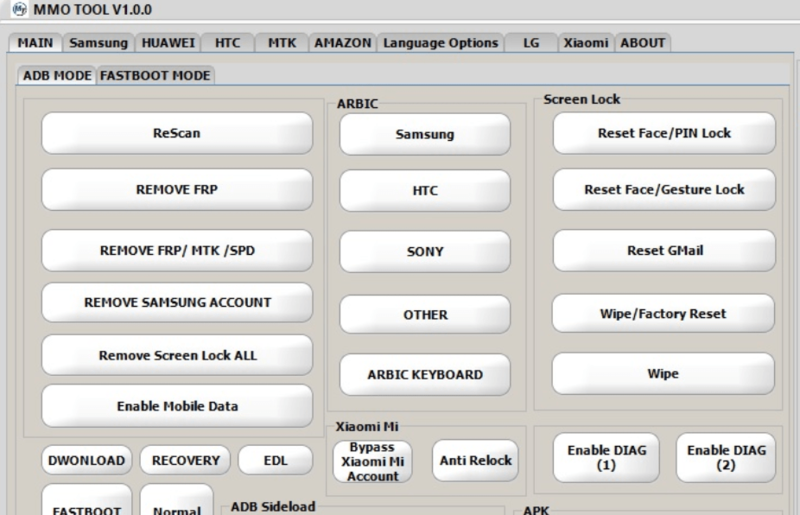 Ability to remove FRP Lock from all android devices (MTK, SPD, Qualcomm). It support for almost all mobile brands such as (Samsung, HTC, Sony, Lenovo, Xiaomi etc). Remove screen lock on all android devices. Enable mobile data on all android devices. So these are the features of MMO Tool Latest version. To download MMO Tool latest setup installer file click the below link. Its totally free to download. Its all features are also free. 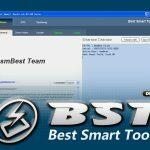 So download and enjoy the tool.